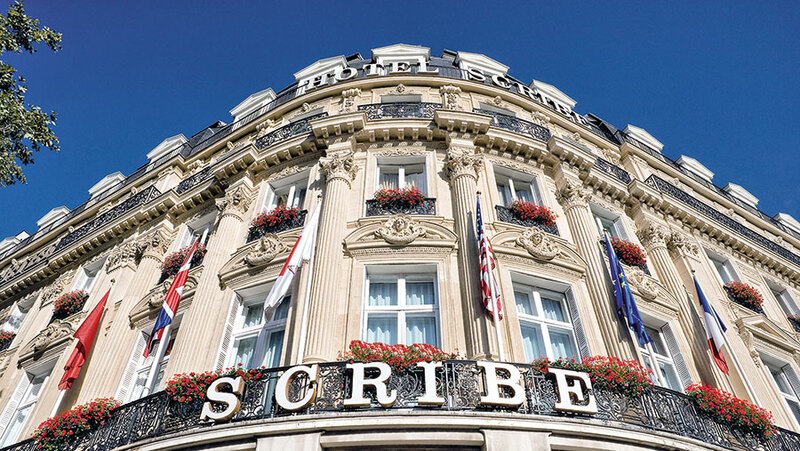 Enveloped by the glow of the city of love’s Opéra district, a tall entryway to a 19th-century edifice on 1, rue Scribe evokes a sigh of comfort. 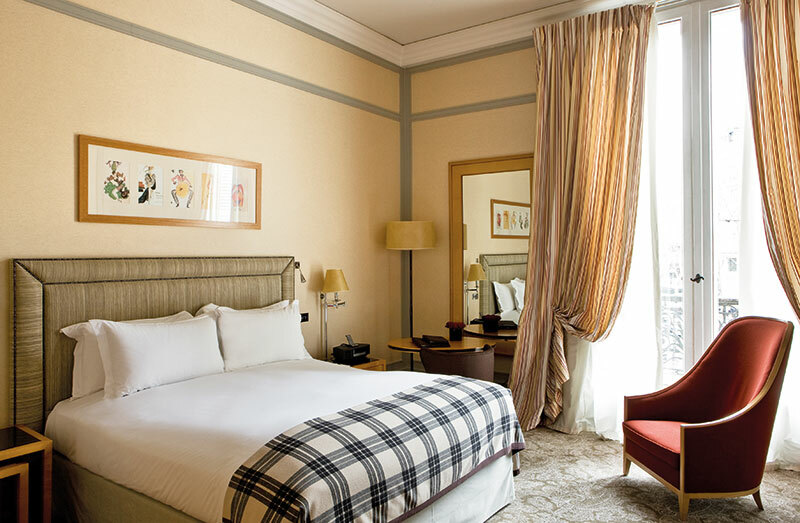 Hotel Scribe by Sofitel blends opulent architecture and contemporary aesthetics with designer Jacques Grange expertly delving into the history of the 1861-built, Baron Haussmann-designed building. Home to the first Louis Vuitton boutique and the prominent Jockey Club de Paris, it is also where the Lumière brothers presented the first global cinema screening. Legends loom and stories are told with each turn of the corridors, stirring one’s imagination with drawings by Yves Saint Laurent, woven horsehair headboards that recall the days of the illustrious club, and floors dedicated to Diaghilev — founder of the Ballets Russes, who lived in the hotel — and Joséphine Baker, who made the hotel her residence while performing at the nearby Olympia theatre. 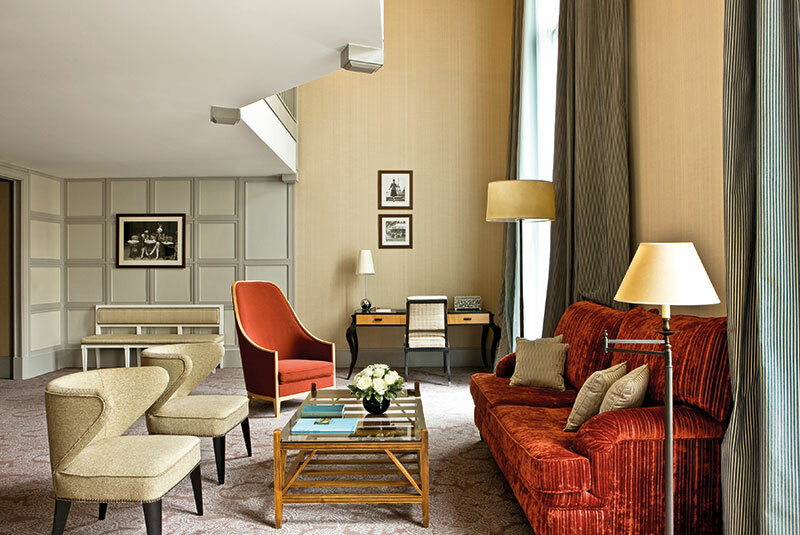 A genuine repository of the Parisian past, the five-star address offers solitude with rooms featuring art deco-esque furniture, understated lines, high-end technology and sumptuous Hermès bath products, while its epicurean offerings are sure to please any erudite gourmand. The tea room, 1 T. Rue Scribe, replete with lofty pillars, velvet sofas, crystal chandeliers and a mezzanine library, sits where the Louis Vuitton boutique used to be. It presents rare tea blends, champagne and indulgent treats made by Chef Sébastien Crison and pastry chef Timothée Gensse. Don’t miss the Eugène Scribe — a Darjeeling tea flavoured with honey, cloves, citrus fruits and bergamot! At the restaurant, Le Lumière, characterised by a superb glass roof, the finest and freshest ingredients are the stars. And nothing rounds off a day of shopping like some time at the Keiraõ Spa — all-white and bathed in natural light — where a holistic approach to wellness meets state-of-the-art French cosmetic expertise.